REALTOR Reviews & Testimonials REMAX River City – Commercial | Edmonton, AB. 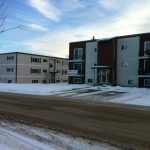 Read reviews from past clients of John Carter on their experience buying, selling and investing in apartment buildings in Alberta. In 2012, we had discovered a listing for some apartments we wanted to look at, so we asked around for an experienced multi family realtor, John was recommended to us. 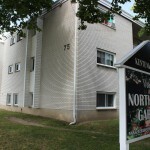 We began the process of reviewing the listings and with John’s extensive knowledge of apartments we soon came to learn that we had stumbled upon an incredible deal. At the time we were just looking and had no serious intention of buying one building, let alone two, but John quickly pointed out that we could and could easily buy both buildings, as deals like that were rare. The journey to completing that deal was not an easy one, we ran into several obstacles, but all along the way John was there willing to offer whatever help we needed. If we needed a professional to conduct an inspection, or do some work he had an arsenal of trusted people we could work with. Any nerves we had about our deal were easily settled when he would share his vast knowledge and experience with purchasing & operating apartments. Once the dust settled we were proud owners of two buildings in a deal that has been described as “once in lifetime”. Soon after that purchase we decided to look for another building, upon review of our files we learned we could refinance our first buildings and buy another one with almost no new cash. Upon that discovery we enlisted John to source out a building that would suit our needs. Once again we were treated very well. He constantly sent us listings to review and took the time to give us honest and helpful information for us to analyze each deal. It didn’t take long for us to find another building that fit our needs. John’s commitment to helping us find properties and support during the purchase and long after is a valued trait in a realtor. He has been a great member of our team and we consider him a friend. Without a doubt we will use him again and again. President / Triangle Development Inc.
John’s knowledge of multi-family properties, as well as his analysis on all income producing asset classes is top notch. He has a realistic approach that takes into account real world factors too, and not just the numbers. 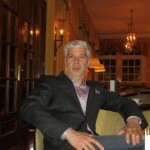 I always value his thoughts, and would highly recommend him to those who invest in multi-family commercial real estate. John has extensive experience in his field and this has translated into significant results for he and his clients. He educates people well on the process and expectations of the deliverables. I appreciate John's knowledge and market awareness. John understands the process very well and yet is willing to learn. I have and will continue to recommend John to others. He helps make the experience simple and straightforward. Thanks. Your professionalism and understanding of the local market dynamics, and working with the local management company and onsite staff made the transaction move forward with ease on our part. Your targeted marketing approach, utilizing your extensive database of multi-family buyers in Ontario as well as other channels, worked exceptionally well. By focusing on only those interested in this size of asset and location, we are confident that we found the best buyer for the property, at a final sale price that exceeded our expectations. 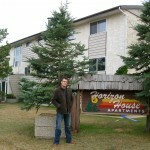 John is one of the absolute best resources I know for Multi-family Real Estate in Alberta. He is very meticulous in his selection and acquisition of Multi-family buildings and focuses on fundamentals that matter. He educates his clients and associates on sound financial principles which shows his capacity to make the world a better place one happy client at a time. If you have questions about Real Estate Investing and want to know how you too can partake in fantastic cash-flowing Real Estate projects then John is someone you need to speak with. He is a true action taker and provides great options for Canadians to get ahead financially. 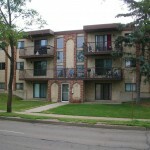 Multi-Family Sellers - Edmonton, AB. My husband and I are very pleased with our service from John, and the rest of his team during the sale of our investment properties. That is not to say that we did not hit a few bumpy patches during the closure of some deals. Although these issues we faced were not Johns fault, he did his best to correct them from his office in Edmonton, which, since we live in Calgary, was helpful. We realized that there was an opportunity for further collaboration and growth through our partnership with John, and with the next property sale, things went more smoothly. He did the things that were almost impossible for us Calgarians to deal with while not living in Edmonton or living in the property that we were selling. Dealing in investment properties is an always evolving and changing microcosm, and John has done well to help us journey through the fluctuations within the market and hurdles that have been encountered. We will continue to give John our business. Multi-Family Buyer & Seller - Small Market AB. Dealing with John has been a profitable experience. His wealth of knowledge and expertise have helped me get into some lucrative projects, and I look forward to doing business with him in the future. John has a keen eye for real estate, and he’s always there to help, regardless of whether you have a deal on the go or not. 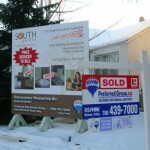 I highly recommend John’s service to both the seasoned investor, and the first time home buyer. Working with John Carter and team, one can expect knowledgeable professionalism. With promptness and courtesy they respond to inquiries and requests, which is critical to our business operating out of Vancouver. John and the team have an accurate sense of the market, and offer valuable strategic suggestions to sell property. We also appreciate that they do not over extend themselves and are selective with their clientele, which allows them to give the necessary attention to each project that is a requirement to sell in this competitive market. 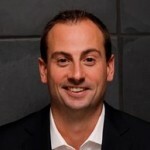 John has proven that he can effectively manage potential buyers and work well with all parties through closing. We would recommend their services. 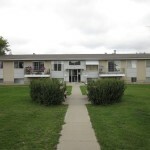 Multi-Family Sellers - Vegreville, AB. 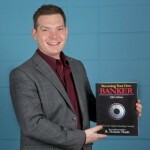 Learn more about John Carter, Commercial REALTOR or about RE/MAX Commercial in Edmonton.